Choosing a name for your baby can seem quite overwhelming at times. You may have picked a name you love to then have your partner advise they aren't so keen on it. Or your family offer their suggestions and confuse you even more. Ultimately it comes down to a name you both LOVE however it may take until you've seen your precious bundle before deciding on just the right name so don't be too concerned if you have a few names picked out before your baby's arrival. According to demographer and social researcher Mark McCrindle, Trend No 1 is the Decade Fade. "A name is popular for about a decade, and then it starts to fade," says Mark. "A classic example is Jack. It dominated most years in the first decade or so of the 21st Century, but now it's starting to fall down the list." Mark Predicts: Charlotte and Emily are on their way down for the girls with Noah and Cooper for the boys. Mark Predicts: Eve, Gia & Ivy for the girls with Ash, Ed and Max for the boys. No matter what the predictions and trends, ultimately it comes down to a name you both LOVE however it may take until you've seen your precious bundle before deciding on just the right name so don't be too concerned if you have a few names picked out before your baby's arrival. To help you choose, Australia's Top 100 Girls' and Boys' names for 2015 as prepared by Mark McCrindle can be found here with girls names on page 11 and page 12 for the boys. We'd love to hear your favourite names below! For many around the world the welcoming in of the Chinese New Year is the most anticipated event. 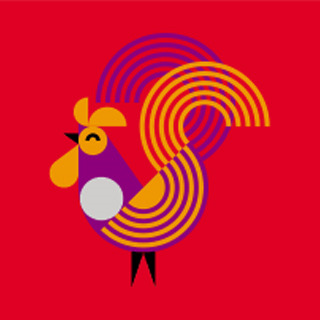 On Saturday January 28 those celebrating the Chinese New Year will ring in the year of the Rooster, the 10th sign in the Zodiac.